As reported by the ACT recently (June 27, 2016), they will be changing their optional ACT essay scoring from a 36 point scale to a 12 point one matching the SAT. While not identical in how the essay is scored, it will use the same numbers for scoring the writing component of the exam. For example, if you scored a 21 on the Essay prior to this fall, it would equate to a 7 on the new scale. Basically, you can divide the old scale (up to 36) by 3 and it will equate to the new scoring scale. 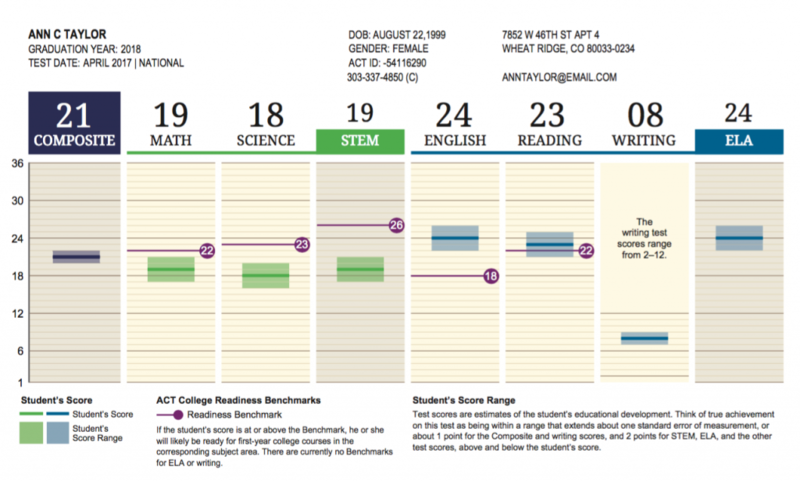 Specific details are available here in a WhitePaper_5_Ways_to_Compare_Writing_Scores published on the official ACT website on the same day.